So What is Porsche Club of America? For over 50 years, the Porsche Club of America has been dedicated to enhancing the Porsche ownership experience. 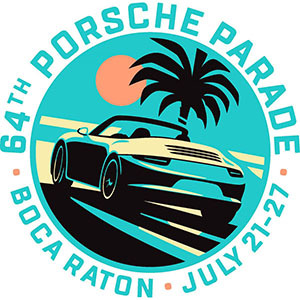 No matter what your interest – social, technical, or competitive – PCA has something to offer every Porsche owner. We know the unbridled joy that owning a Porsche can provide, and we’ve built a community around that very feeling. The Porsche Club of America offers driving experience, technical assistance, member benefits, and camaraderie second to none. Over the years, our club has grown to 144 Regions arranged into 14 zones across North America and Canada. 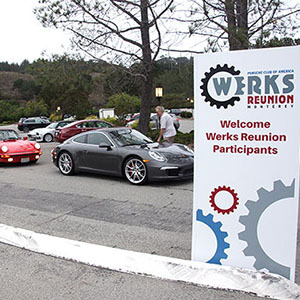 We guarantee there is a PCA Region near you filled with friendly Porsche fanatics. Learn more about Zone 7 and its Regions. Autocross: An autocross is a closed-course driving event where the objective is to complete the course in a safe manner in the shortest amount of time possible (fastest overall speed). These are held using a large open paved area with the course marked by pylons (traffic cones) that are used to form the course, which consists of turns, slaloms, and straights. There are classes for your Porsche that provide for similar cars to be competitive (Stock, Street Prepared, Prepared, Modified). Breakfast/Dinner Meetings: The motto of PCA is “It’s Not Just the Cars, It’s the People.” Breakfast/Dinner meetings and other social gatherings allow us to enjoy the camaraderie of others who share our passion for the marque. Club Racing: PCA Club Racing is an organized race series for Porsche owners. The rules are similar to vintage racing. Concours: A concours is a judged event where cars are prepared to “as delivered” condition. Points are deducted from a maximum possible value based on condition and cleanliness. Various concours rules are used depending on the level of competition. Zone 7 concours rules offer different levels (such as Wash and Shine) of judging to suit your particular interests. Driver Education/Time Trial: Driver Education events offer an opportunity to drive your Porsche at speed on a race track (i.e. Thunderhill, Laguna Seca, Buttonwillow, Sears Point), but under very controlled conditions. The emphasis is on safety and education as opposed to racing. The PCA DE Program is designed so that participants can improve their driving abilities and acquire a better understanding of vehicle dynamics and driving safety. Driving tours: Northern California and Nevada offer some of the best Porsche roads in the country. Driving tours offer a chance to enjoy these roads with fellow PCA members, where the journey is just as enjoyable as the destination. Tours can be of a few hours duration, or over a weekend. Rallye: A rallye can be competitive or for fun. The objective of a rallye is to follow a course, usually on public roads, to the precise detail specified in the rules. Competitive rallies dictate a certain schedule for the checkpoints along the way. Points are deducted by arriving at the checkpoint either early or late. Fun rallies may include a gimmick (Poker, Hare and Hound, Scavenger, and Photo). Rallies are run on paved roads at the legal speed limit. They do not cause excessive wear on a vehicle or place its driver/navigator at risk. So you want to join PCA? Great, we’d love to have you join us. Membership applications are on-line.